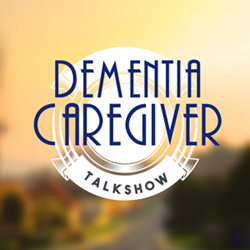 Pines of Sarasota Education & Training Institute announces the launch of its new “Dementia Caregiver Talkshow” podcast to offer helpful tips to caregivers worldwide. This podcast, which is available for free on iTunes and multiple other podcast platforms, will help family caregivers navigate the often confusing senior care world. Led by licensed Nursing Home Administrator, certified Assisted Living Administrator, and “Positive Approach to Care” certified dementia care trainer JoAnn Westbrook, this show will discuss solutions and creative ideas to common and uncommon dementia care challenges. To listen to the podcast visit https://www.pineseducation.org/talkshow/. For more information please visit http://www.pineseducation.org or call 1-800-672-1310. About Pines of Sarasota Education & Training Institute: Pines of Sarasota Education & Training Institute is the educational department of not-for-profit Pines of Sarasota Rehabilitation and Senior Care Community, providing cutting-edge, specialized education, outreach programs, support, and resources to family members and geriatric caregivers. For more information visit http://www.pineseducation.org. About Pines of Sarasota: Pines of Sarasota Rehabilitation and Senior Care Community provides excellent and compassionate inpatient/outpatient rehabilitation services, skilled nursing, memory care, assisted living as well as educational programs for seniors and their families in order to help enhance their quality of life. Pines of Sarasota Rehabilitation and Senior Care Community epitomizes innovative initiatives including; an on-campus child care and learning center which fosters intergenerational interaction and learning; Falls Prevention Programs which help minimize the risk of falling and; a comprehensive Volunteer Program that supports every aspect of campus life. Pines of Sarasota Rehabilitation and Senior Care Community is a not-for-profit organization that leads the way in holistic senior care. For more information visit http://www.pinesofsarasota.org. About JoAnn Westbrook, N.H.A: JoAnn Westbrook is the Founder and Director of Education at Pines of Sarasota Education & Training Institute, which is the educational department of not-for-profit Pines of Sarasota Rehabilitation and Senior Care Community. She received her degree in Gerontology at University of South Florida and expanded her professional career as a Nursing Home Administrator and a certified Assisted Living Administrator. As the Author of “Do You Know Where Your Parents Are?”, Mrs. Westbrook offers crucial information families need to choose the best health care option for a loved one. In 1996 she opened a secure dementia care unit at Pines of Sarasota, named “The Garden.” To address the needs of professionals and caregivers in the home, she founded the Pines of Sarasota Education & Training Institute in 2007. To further advance her Florida State-Certified Alzheimer’s training, JoAnn became a “Positive Approach to CareTM” certified trainer in Teepa’s Snow’s techniques in 2014.